Examine the world of water in your own backyard by catching and studying bugs that reveal the health of a local stream in southwestern Atlanta. Test water quality and learn how changing environmental conditions can affect the livelihood of habitats and how that relates to human activities. 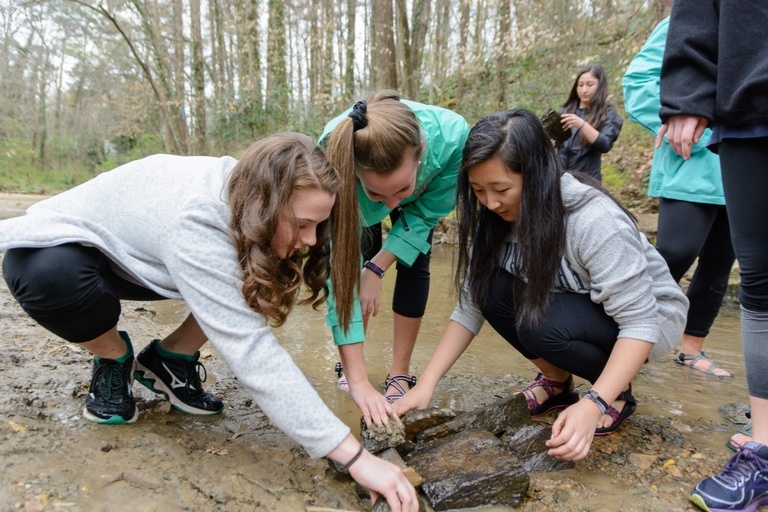 Join in games and engage in laboratory and field science at different stations next to the creek, or jump in and “get your feet wet” to participate in data collection in the water! Make sure you wear closed-toed footwear, and ideally, water proof options (e.g., waders, rain boots) if you plan on going into the creek to collect water samples. For those who don’t want to get wet, we will have several activities that don’t require going into the creek! Parking at Cascade Springs Nature Preserve, 2852 Cascade Rd SW, Atlanta, GA 30311 is free but limited. Please carpool.